On-the-ropes electronic retailer RadioShack may have found a successful buyer in its bid to liquidate its assets, but the chain’s 'going bankrupt' sale is causing concerns over its offering of one item in particular: a huge chunk of customer data. The last of RadioShack’s assets, including 274 stores in Mexico and a few hundred domain names, went up for auction on Monday, and Bloomberg News has since reported that Standard General, a hedge fund, prevailed with a $535 million rescue-financing package. In a separate report, however, Bloomberg’s Joshua Brustein acknowledged that among the items that will now belong to Standard General – pending the approval of a Delaware bankruptcy court – is a database containing millions of pieces of information concerning the store’s customers. According to the website for Hilco Streambank, the advisory firm brokering RadioShack’s auction, a “customer file” containing over 13 million email addresses and over 65 million customer names and physical addresses was included in the deal. “RadioShack's customers – even those whose most recent purchase came years ago – could also find themselves sold off in the deal,” along with the store’s trademark, three label brands, and a portfolio of dozens of active and pending patent applications, Brustein reported. 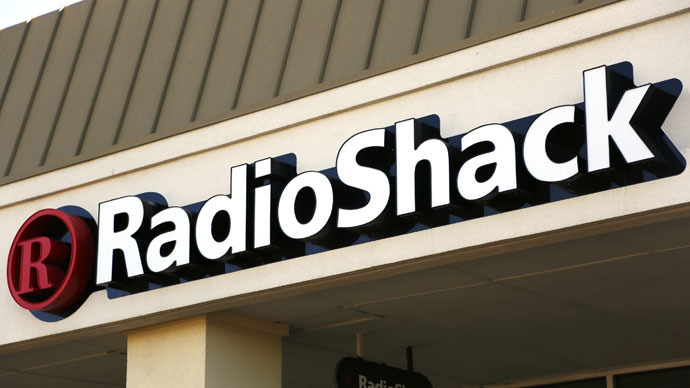 In February, RadioShack announced that it was filing for bankruptcy protection following 11 consecutive quarterly losses, putting in jeopardy the future of the 94-year-old chain and its 4,000-plus stores. Around half of the Texas-headquartered chain’s storefronts are expected to close during 2015, and remaining locations are slated to be re-branded as mobile phone stores through a deal with cell provider Sprint. Meanwhile, though, legal obstacles may keep this week’s auction from being settled easily. Bloomberg noted that AT&T and the attorneys general of Texas and Tennessee have all voiced their opposition to the deal, specifically because of the customer database included in the sale. The telecom said the data includes detailed lists on AT&T customers that were collected while RadioShack marketed the company’s phones, and Texas Attorney General Ken Paxton said selling the data would infringe on the privacy of the chain’s huge customer base. On Monday, the attorney general for Tennessee joined Paxton’s challenge, according to the Bloomberg report. RadioShack had around $1.2 billion in assets and a $1.39 billion debt when it filed for bankruptcy protection last month. According to Hilco Streambank, a court will decide on Thursday whether or not to approve the offer from Standard General, one of RadioShack’s biggest creditors.